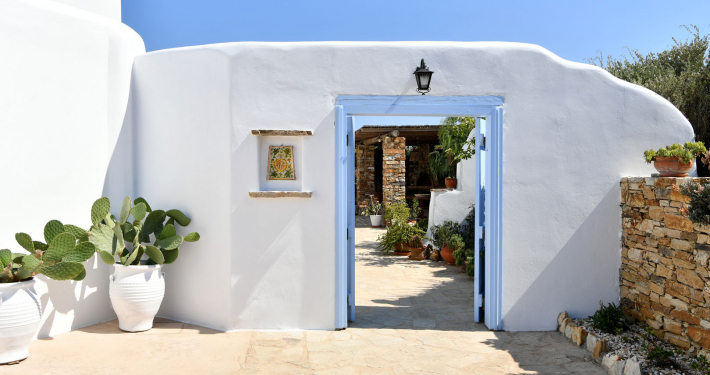 A stunning “lady” in Antiparos Island. 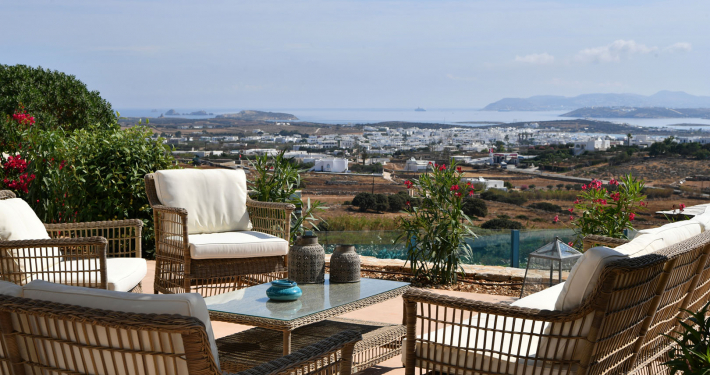 Unobstructed views and complete privacy. 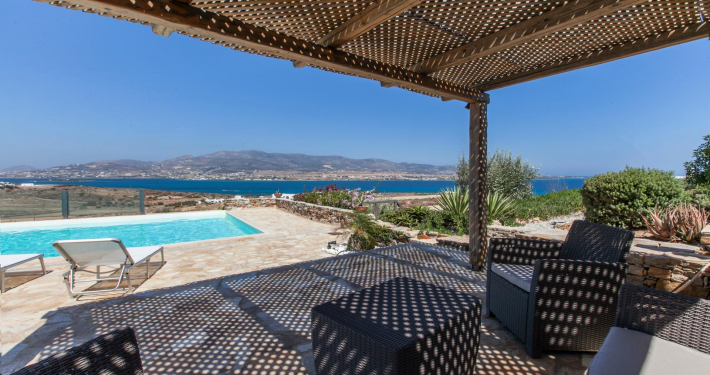 Villa Bella Donna is a stunning Antiparos luxury villa, just a 20 mins walk from the picturesque Antiparos Chora and 3 minutes drive from Psaralyki and Panagia beach. 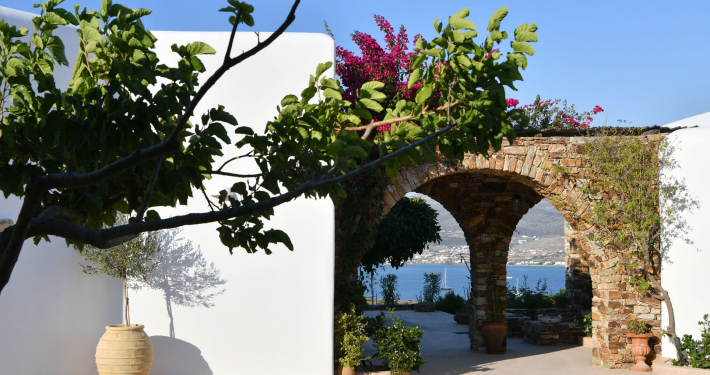 Set on a gentle hill, the villa’s privileged position offers complete privacy and amazing views of the Aegean Sea and neighboring islands. 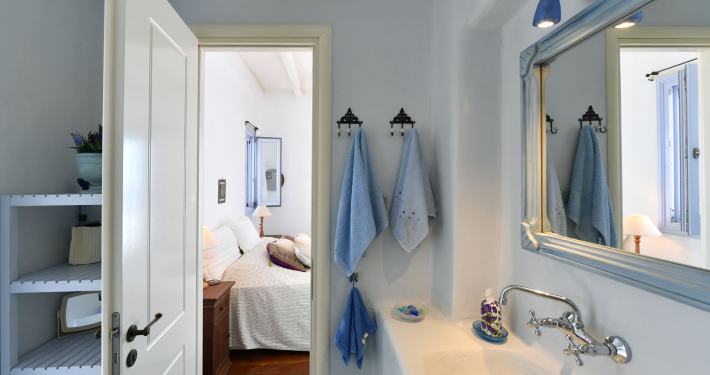 This elegant estate comprises of a main house, the guest house and a guest studio, offering 5 double en-suite bedrooms and 2 additional sofa beds, for up to 12 guests. 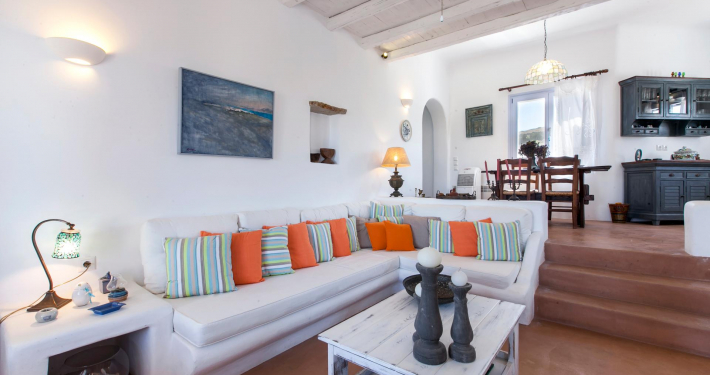 The main house designed over two levels, offers a large living area with two sitting areas, a dining area, a fully equipped kitchen, a WC and two double en-suite bedrooms at ground level and the master bedroom with a private sitting area and a veranda at the upper level. 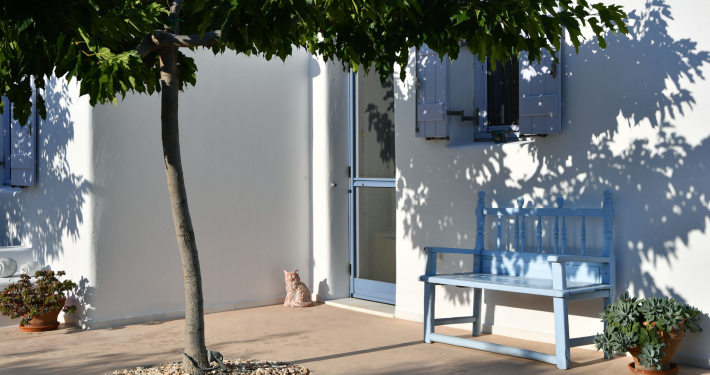 The guest house offers a living – dining area, a kitchen, one en-suite double bedroom and a private external shaded area. 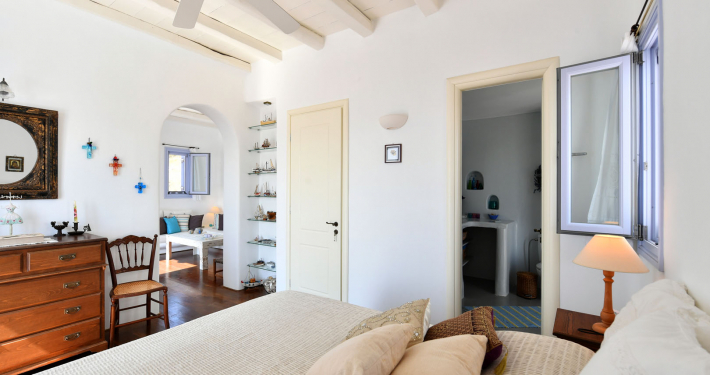 The guest studio offers an en-suite double bedroom, a sitting area with 2 sofa beds and a kitchenette. 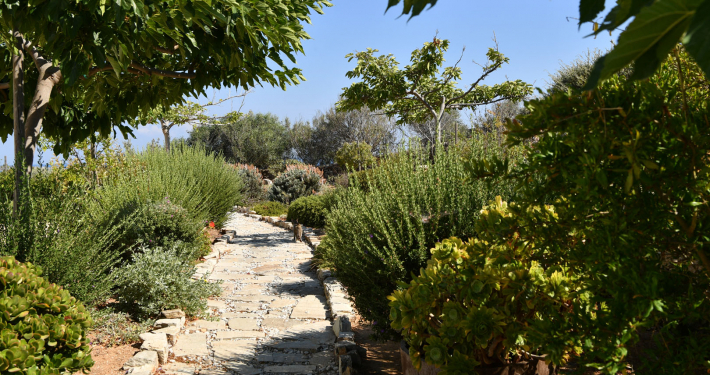 The villa is set among landscaped gardens of colorful flowers and herbs, offering a series of external spaces to relax and enjoy the views and tranquility. 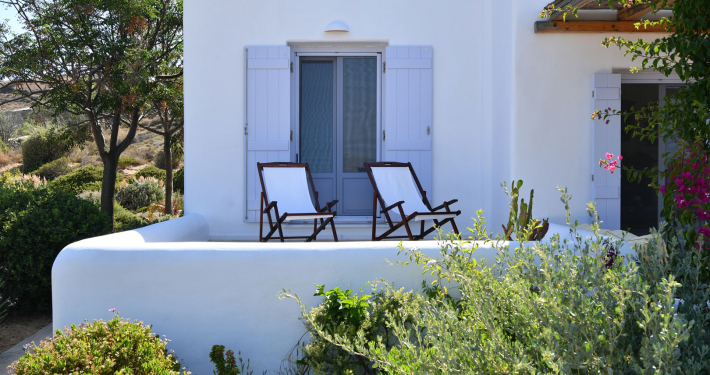 The villa is featuring a private pool with a shaded lounge area in front of the main house and a back courtyard protected from the winds. 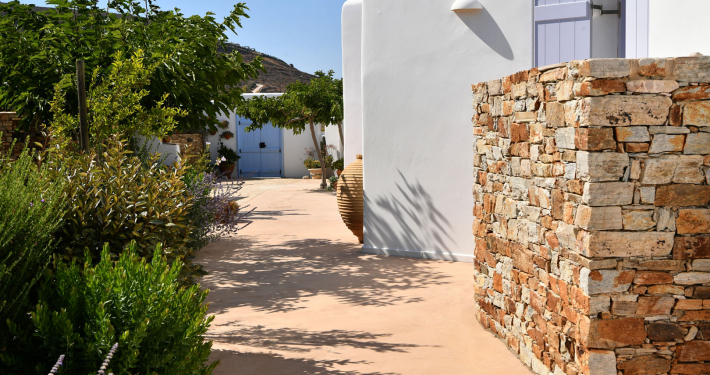 A fully equipped barbeque with a shaded dining area is part of the courtyard, close to the villa’s fully equipped kitchen. 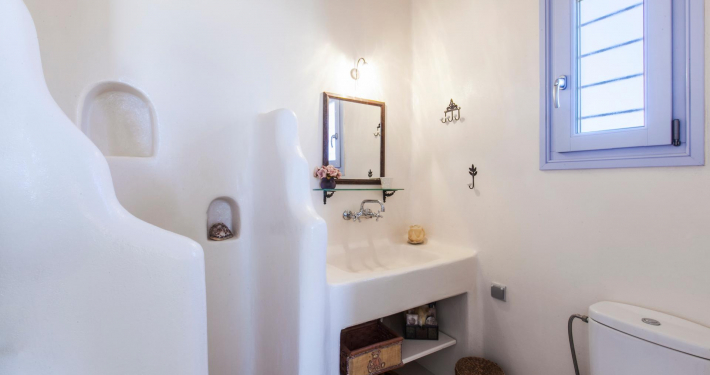 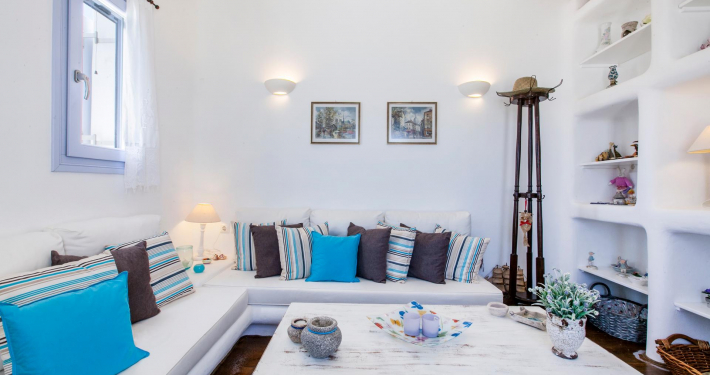 The interior combines the Cycladic architecture with a contemporary decoration approach. 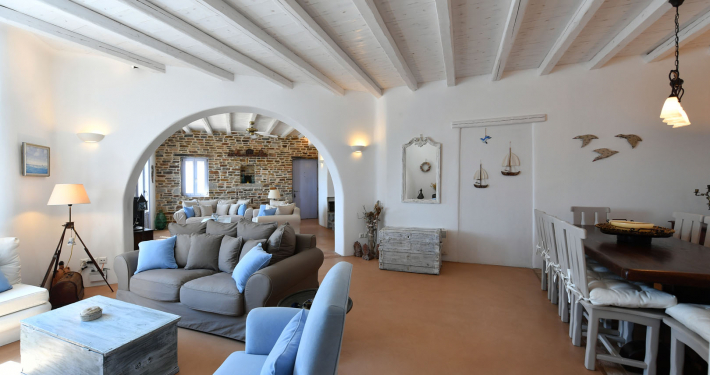 Wooden ceilings and traditional furniture enhance the island atmosphere, while the mix of Greek traditional and African refined decoration gives a unique feeling. 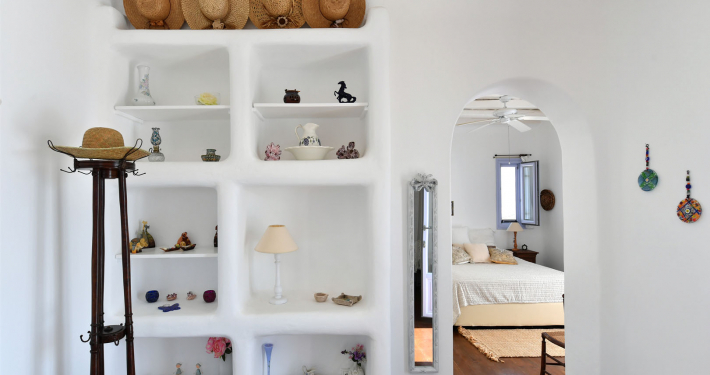 The five bedrooms, each colored in an individual pastel shade, are all furnished with antiques. 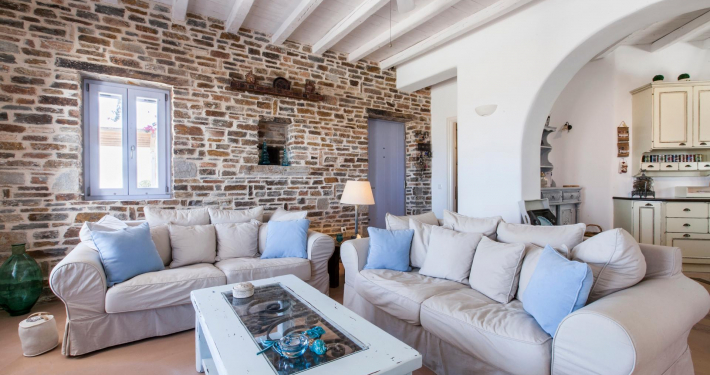 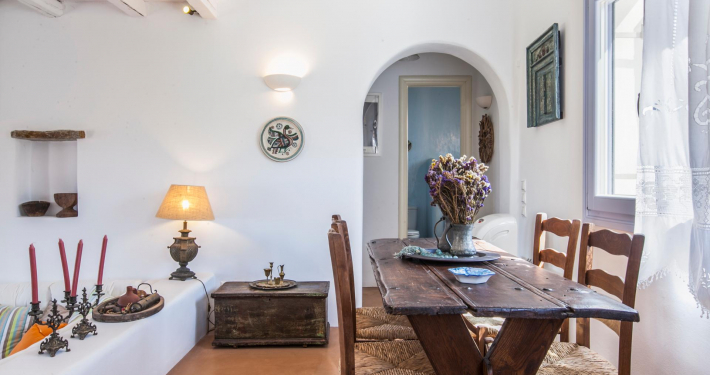 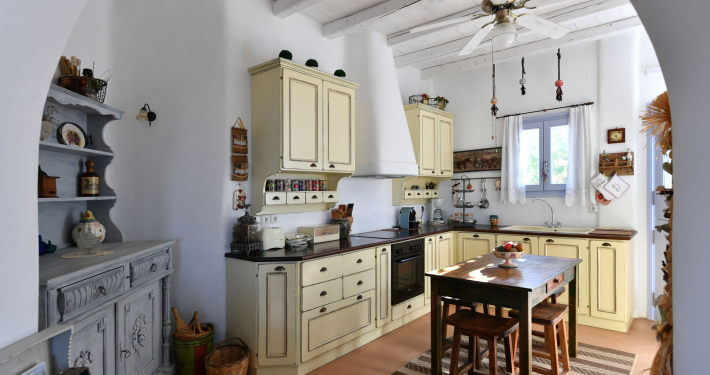 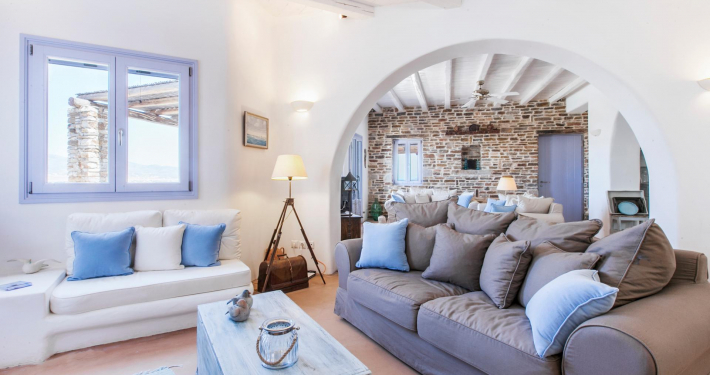 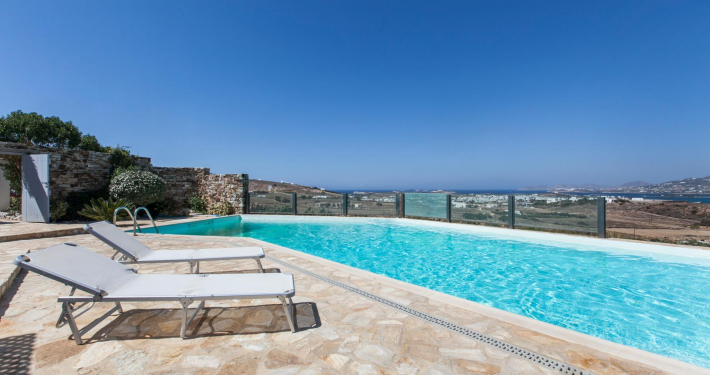 Villa Bella Donna is certainly a truly stunning “lady” in Antiparos Island, ideal for families and group of friends, pursuing a memorable experience in Greek islands.